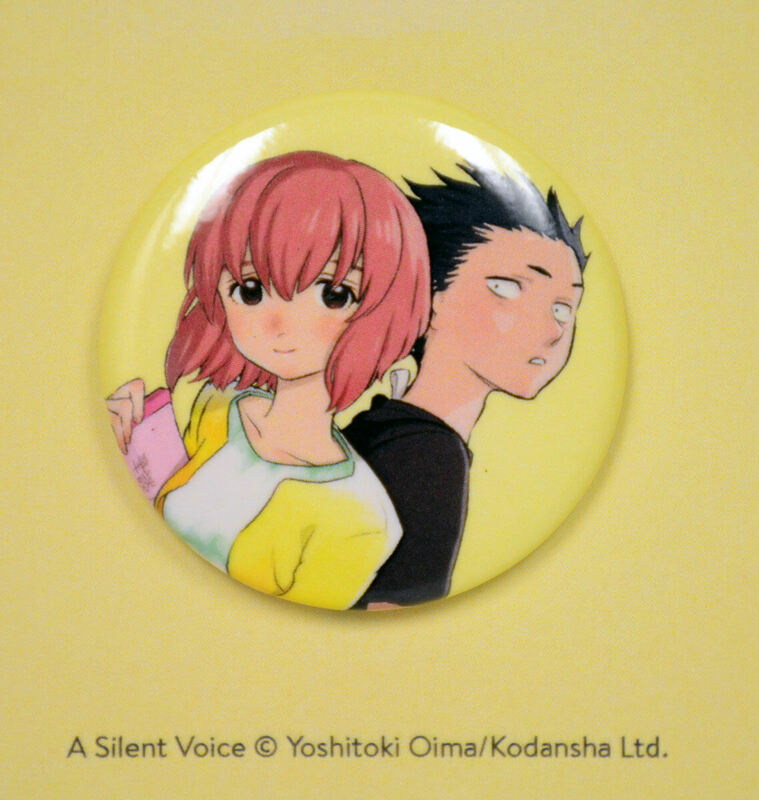 A Silent Voice Manga Volume 1 features story and art by Yoshitoki Oima. Who knew you could say so much with so little words? 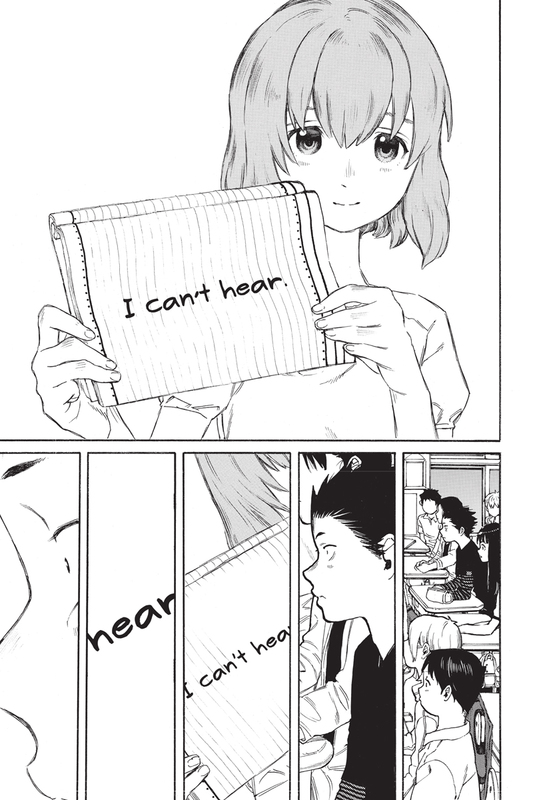 A Silent Voice is a tale about bullying, betrayal, regret, and forgiveness. It is a powerful and emotional story that everyone might be able to relate to on some level. And that's just volume one. The art is nice and loose, so you can really feel it when a character moves, and the writing is excellent. I cannot think of one bad thing about A Silent Voice. So, what are you waiting for? Go get yourself a copy! I heard that "A Silent Voice" was a good book, so I decided buy this and see for myself. After finishing this one volume, I can feel the character's emotion. At first I did not like the protagonist because of his bullying actions on a new student. But once, I read half way through the story I felt sympathetic towards him. The author did a great job of introducing the story and I want to read more. I strongly suggest people to read this. This was the first manga i finished when I started reading manga. This is a very well written story that kept my attention the whole time. I loved the characters and you can really feel the emotion throughout the manga. Its about a former bully who wishes to atone for his mistakes as a young boy. This is my favorite manga so far so ill be sure to collect the volumes. I read it on Crunchyroll some time ago but I still get chills when I see the books. great book to read about making amends over past wrongful acts. It shows the actions of the main character & the consequences that follow him. If you want to read a great book about redemption this is it. Strong Start- discussion of some plot for those avoiding any spoilers. 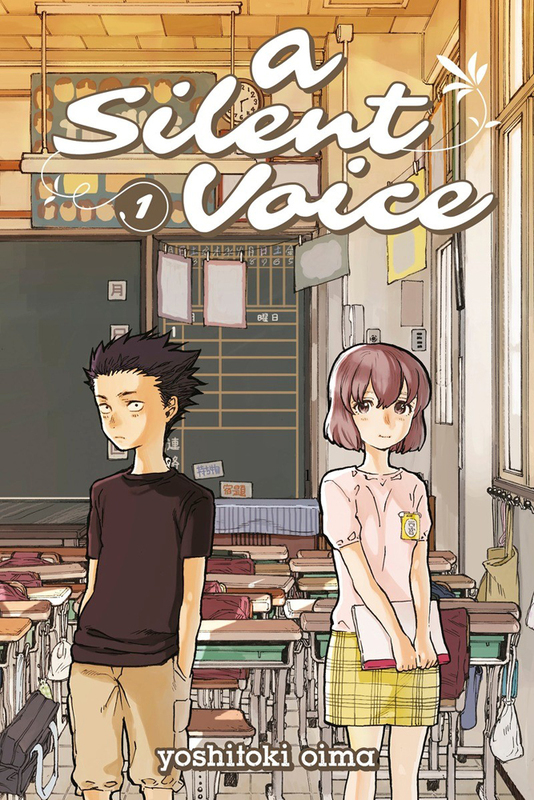 Going by this first volume, A Silent Voice looks to have the makings of a strong, character driven story. The way that bullying is handled by the story seems fairly nuanced- it looks at the motives of the main character for why he initially started, and also at how his actions culminated in his schoolmates turning on him. This book is setting up what looks to be an interesting redemptive arc (or at least I'm hoping, so). Looking forward to the rest of the series. Going off the description alone, I knew this would be a great manga. Without going in to too much detail, this first manga covers Shoko’s and Shoya’s childhood and what becomes the foundation for the entire series. I am super excited to get volume 2, 3, 4… all of them! A Silent Voice is a tear-jerking manga that tackles the subject of bullying very well. Shoko and Shoya are both very likable characters and it was enjoyable to see them both develop throughout the story. Only seven volumes long and well worth the read. Not my standard fare at all, but so powerful and perfectly told that it became an instant favorite. Would recommend to anyone. My first manga and an emotionally strong impact willing for a beautiful and worthy story of buying. Art style is pretty good. A Silent Voice is outstanding because of how you could feel the emotions embedded into this intricately written story of betrayal, forgiveness, and so many other lessons to be learned, no matter the "shape of your voice." I am satisfied with my purchase of the book and overwhelmed on how much it could effect one in a span of 192 pages. This is an excellent read that highlights what being different means, the struggle that some families have when they have a member with some kind of disability, and what it means to be a true friend. Shoya, a bully, is reunited after six years with Shoko, a girl he bullied so horribly in grade school that she had to switch schools. While the main girth of the series follows the events of their senior year in high school, the first volume follows Shoya and Shoko. When Shoko enters Shoya’s class for the first time, she introduces herself with her notebook, explaining that she is deaf. 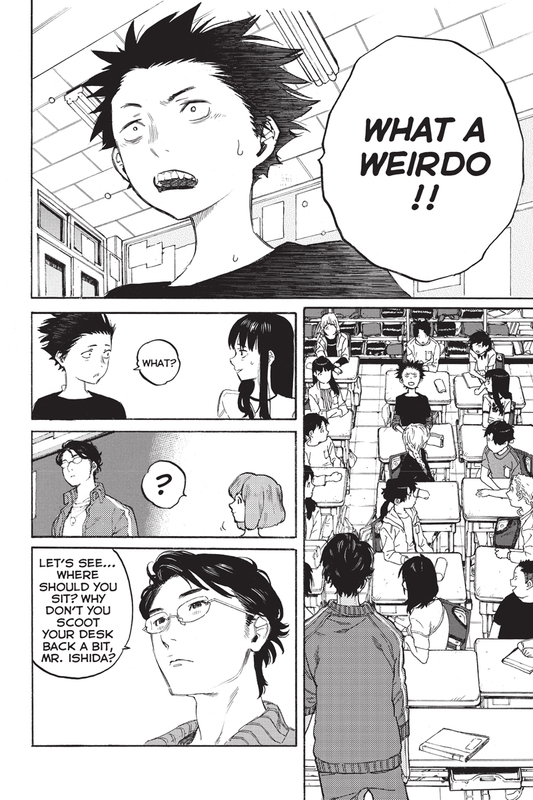 As time passes, Shoko’s classmates, and even her teacher, begin to bully her. This series is excellently written, powerful, and the beautiful art adds to the height of the reading experience. As an educator, I would recommend this to anyone and everyone in that it demonstrates how differences make us unique and shows how wrong and serious bullying can be. An incredibly moving tale about redemption. Well written characters and an engaging plot will have you struggling to stop reading. Great start to a beautiful story. If you enjoyed the movie adaptation, would recommend that you pick up the manga. Not your typical storyline but the manga does it so much better! One of my favorites. It is great for people just starting to read manga or any long time readers!